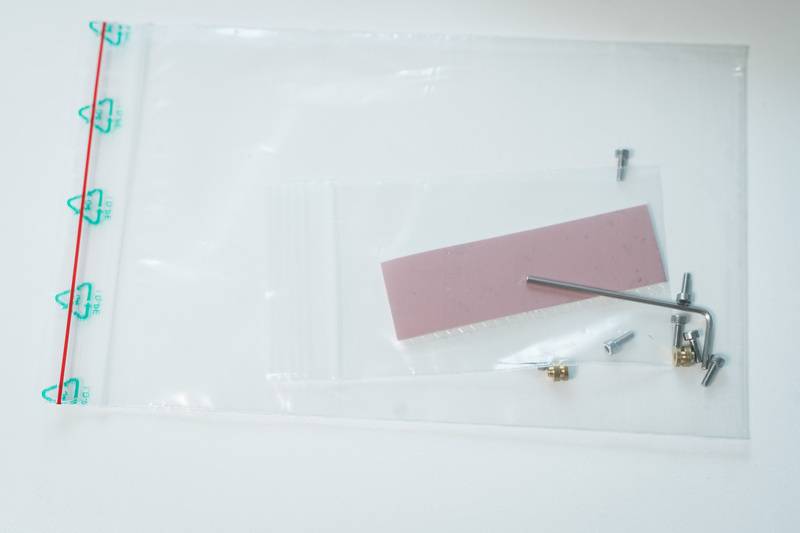 On the bench: Angelbird Wings PX1 – the edit bench. 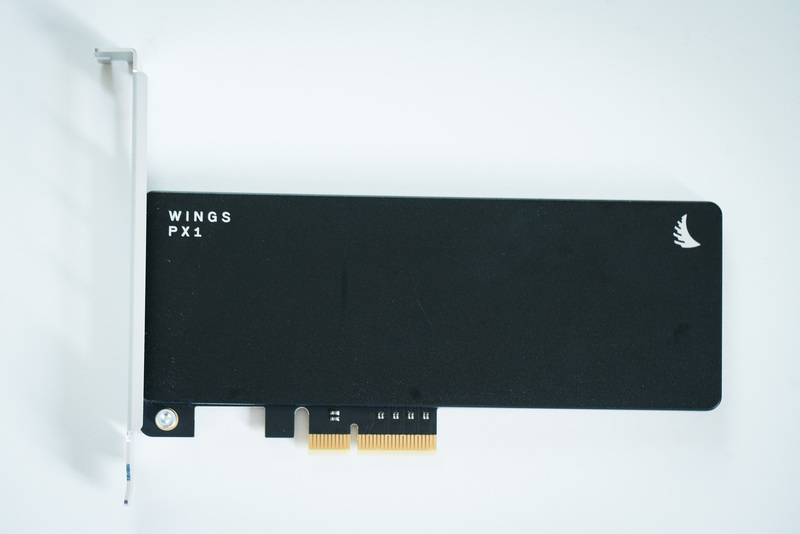 Those of you who already read about the Angelbird Wings PX1 in my previous post On the bench: Samsung 950 Pro, know that I was quite impressed with this M.2 to PCIe adapter card. Now, it is time to have a closer, more detailed look at it. After testing my new Samsung 950 Pros for my editing rig, I became aware of their serious throttling issues. Only by using extra fans and heatsinks, I was able to prevent the drives from throttling. This was not an option for me and that is why I searched for a better solution. I came across Angelbird’s Wings PX1 and was eager to give it a try. Just a day after ordering the PX1 through Amazon, it arrived at my home ready for testing. 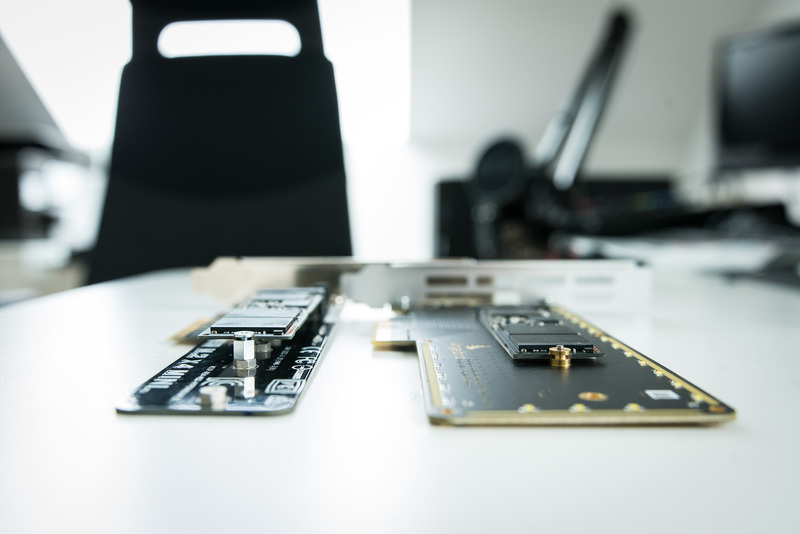 Starting with the adapter card itself, one can easily see that the build quality is superb. It looks and feels like a premium product. Once the screw on the back is removed, you can detach the heatsink from the adpater card. In my opinion, the PCIe adapter looks beautiful. In the center you can see different mounting holes to let the card accommodate all popular M.2 sizes. Another cool feature of the PX1 are the LED-lid edges. Once attached to the mainboard, they emit white light. 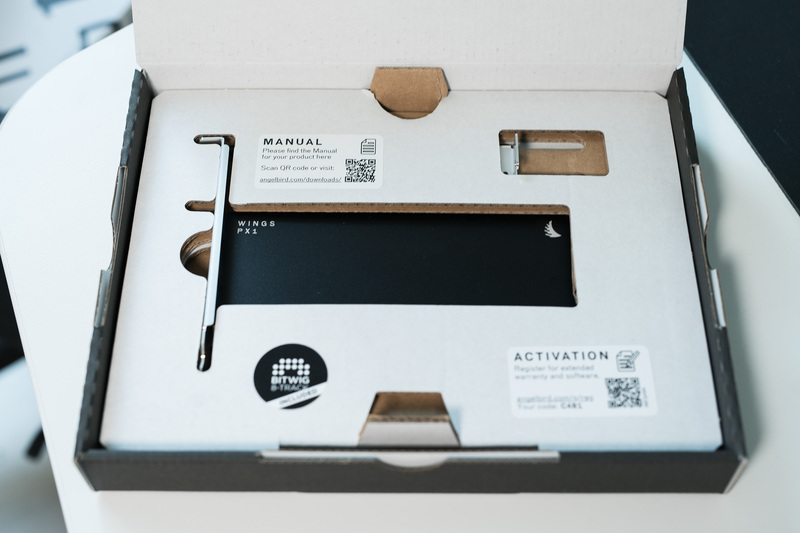 The heatsink has a finlike structure on the inside that is designed to allow heat to dissipate faster. The fins lead to openings on both sides thus allowing air to enter and exit the inside of the card. Then there is a preinstalled thermal pad right in the middle. Now, let’s connect a Samsung 950 Pro 512GB to the adapter. Since the drive has a 2280 form factor (22mm wide, 80mm long), you need to attach it using the spacer and one of the supplied screws (they are all the same size). Compared to the Asus Hyper M.2 x4 PCIe mini adpater, the PX1 is wider and just a little bit shorter. Another significant difference is the height of the M.2 drive when installed. Unlike Asus, the PX1 has a very low profile that allows the use of a second thermal pad (supplied) between the PCB and the M.2 drive. This makes a lot of sense when running only one-sided drives like the Samsung 950 Pro 512GB. Also, the footprint inside the case is smaller leaving more space for other AIC’s or air to pass through. PCIe Gen3 x4. Backwards compatible down to PCIe Gen1 x4. M.2 NGFF PCIe SSDs up to PCIe Gen3 x4. M.2 form factors 2230, 2242, 2260, 2280 and 22110. To sum it up, when it comes to cooling, there is no competition for the PX1 (at least on air cooling). 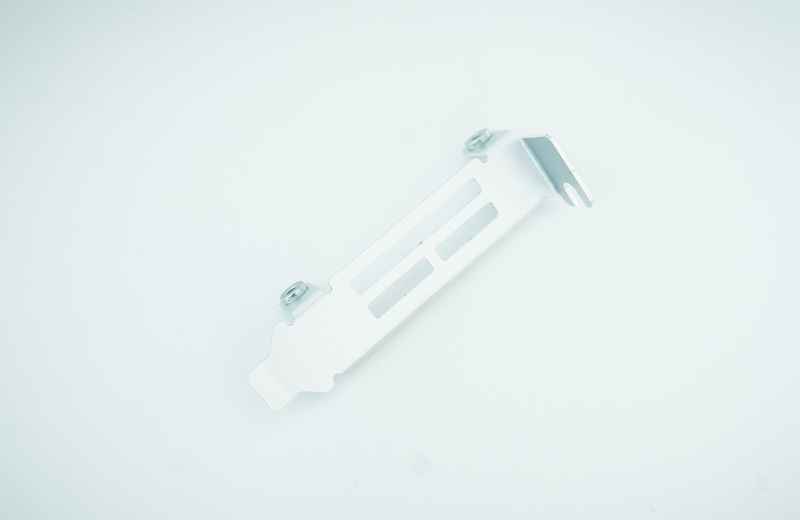 The large heatsink does its job well and dissipates heat effectively. Consequently, it successfully prevents thermal throttling that typically occurs when drives like the Samsung 950 Pro run hot under high workloads. All this without additional fans. Looking at the second ATTO test results,, you can see that the drive was still very close to thermal throttling. For my taste, that is not usable for daily professional work. I had better results when connecting the 950 Pro to the M.2 slot of my mainboard. Thanks to better airflow, the drive stayed much cooler. Here is a picture of the fan setup. In front, you can see the 950 Pro with the copper heatsink attached and in the back the gorgeous PX1. 57°C is a good results taking into consideration how hot the drive usually gets under these conditions. With this setup, you can easily run the 950 Pro under high workloads. You can see that the drive stayed well below the 950’s thermal threshold of 74-75°C. The first test run was started about 5 Minutes after Booting up the PC just like the other previous tests. The initial temperature was 37°C. During the test, the temperature rose to 49°C. Compared to the bare drive, the temperature rose much slower indicating that the heat dissipates more effectively. What I noticed though is that the drive also took a lot more time to cool down. After a couple of minutes, the drive still had a temperature of 47°C. I seems that having an additional fan blow across the drive could be beneficial. Instead of installing a fan I decided to go for another test run to see if I get the drive to throttle now. Not at all. The drive still didn’t throttle. Maximum temperature was 54°C – still 3°C less than the 950 Pro with fan and heatsink connected to the M.2 slot. 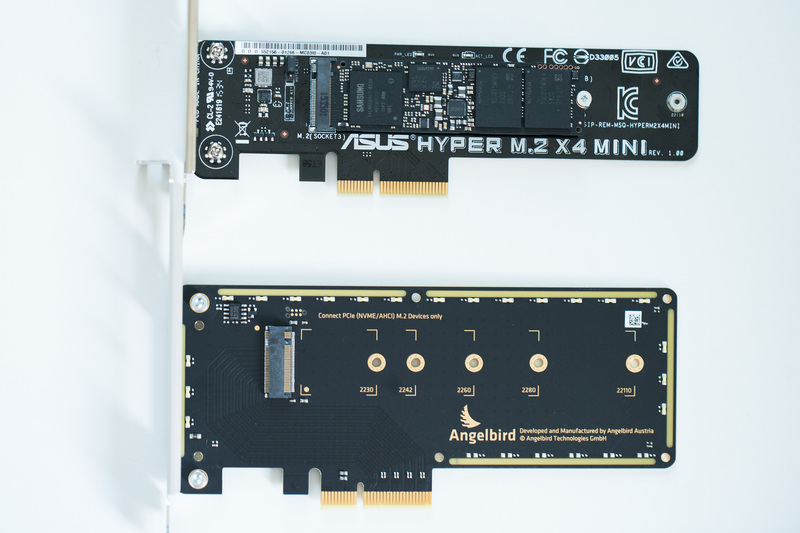 The Angelbird Wings PX1 is the perfect companion to fast NVME M.2 drives such as the Samsung 950 Pro. When paired with the PX1, the 950 Pro turns into an AIC NVME drive much more suitable for professional work than in its original form. 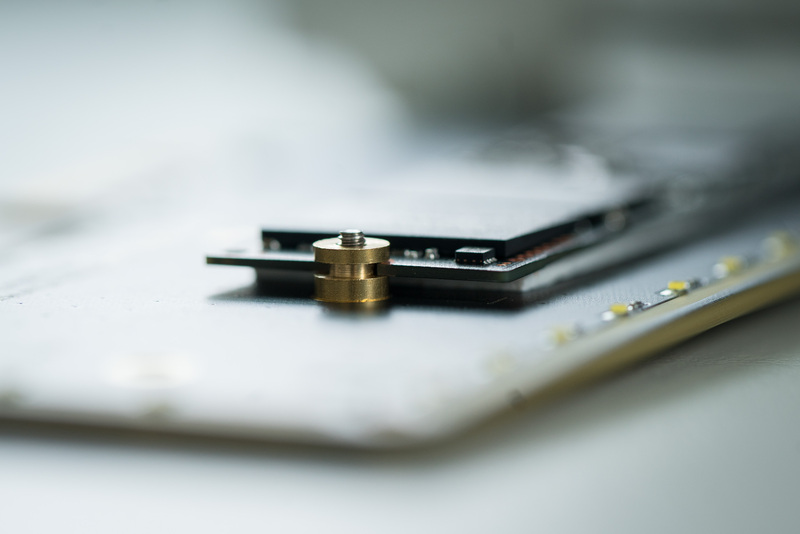 Thermal throttling is effectively prevented and the white LEDs that are integrated along the edges of the card give it a nice look inside your PC. While the heatsink works well, it also has a small downside. The drive stays hot for much longer because of the large amount of heat stored in the heatsink. If you want to counteract this behavior, I recommend installing a fan that blows fresh air across the drive. The premium build quality comes at a premium price tag. The Angelbird Wings PX1 is selling for around 75 Euro incl. VAT (amazon.de) these days. Pingback: On the bench: Intel 750 PCIe SSD 1.2TB – the edit bench.